Madelyn Trupkin Herzfeld was Founder, President, and General Manager of the Institute for Medical Education & Research, Inc. (IMER), where she led the development of accredited oncology continuing education/continuing medical education programs for nurses, physicians, and other healthcare professionals specializing in oncology for 12 years. IMER was sold in 2007 to United Biosource Corporation, which was acquired by Medco Health Solutions (2010) and later Express Scripts Corporation (2011). Ms. Herzfeld earned dual degrees in business (concentration: Health Care Public Policy and Management) and nursing from the University of Pennsylvania’s Wharton School of Business and School of Nursing, respectively. She began her career at Bear, Stearns & Co. as a financial analyst in its investment banking healthcare services/pharmaceutical group and subsequently served as an associate for Pinnacle Partners, a boutique investment bank focused on middle-market healthcare service companies. 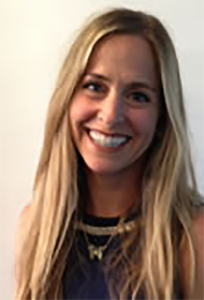 Later, Ms. Herzfeld was responsible for business development at an oncology-focused medical education company and has worked as an Oncology Certified Nurse at Memorial Health Systems in Hollywood, Florida. Ms. Herzfeld’s professional affiliations include the Oncology Nursing Society and FertileHOPE, a national nonprofit organization for which she serves on the Board of Directors.